From her work in ocular disease to molding the next generation of optometrists, this alumna turned assistant clinical professor thrives helping patients and students transform their lives. As a girl, Dr. Daria Borah, ‘16 wanted to be a veterinarian. “At some point or another throughout my childhood years, my family had a cat, dog, bunny, ferrets and parakeets,” she explains. But like many of her colleagues, her love of optometry started with a doctor’s appointment. At 18, she’d just relocated to attend the University of Florida to study animal sciences and went to buy her first pair of soft contact lenses. “The optometrist was knowledgeable and explained the field very well, which intrigued me. I previously thought they had limited responsibilities of only fitting glasses and contacts,” she explains. She soon found herself working in the doctor’s office as an optometric technician. After finishing her bachelor’s degree, she set her sights on SUNY Optometry. “This is where the brightest, boldest and most successful students emerged based the reputation of the College, the review of its clinical curriculum and my impression during the interview,” she says. Though she thrived in a group private practice, Dr. Borah found herself lured back to the College, where she has served as an assistant clinical professor since February 2018. 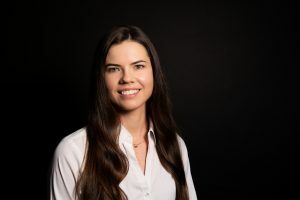 “I enjoy the stimulating academic atmosphere and the opportunity to teach and further our profession, which I feel to be more personally rewarding,” she says.